Manchester United have tied down Luke Shaw to a new five-year deal. The 23-year-old, who was out-of-contract at the season’s end, has committed his long-term future to Old Trafford. The internet was awash with rumours surrounding his new weekly wage – that was until the Daily Star confirmed how much he’ll learn. 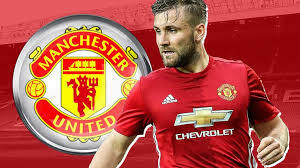 Shaw will now take home a whopping £195,000-a-week; making him the fifth-highest earner at the Theatre of Dreams. The only four bigger earners in front of him are Alexis Sanchez, Paul Pogba, Romelu Lukaku and David de Gea. That’s a testament to how well Shaw has started the season. Now, it’s time for the left-back to kick on and take his game to that next level. He’s hugely talented. That view from the British media has never wavered. Injuries have held him back, as has a change in manager and a disagreement with Jose Mourinho. Now, it looks as though that everything is behind him. Shaw can solely look forward and continue to prove just how good he is. It all starts with a trip to Stamford Bridge this weekend. Hopefully, he can put in another commanding performance and help his teammates to victory. Luke Shaw suffered one of the worst injuries I’ve seen in recent history, and the 19-year old looked truly heartbroken when he was carried off the pitch with a broken leg in two places.